Last week, I kinda-maybe-sorta fell back asleep while the child was on the toilet. Thankfully for him, his little brother woke up crying for his pacifier. When I went to soothe the little guy, I saw the bedroom door standing open at the end of the hall and that’s when I remembered I forgot the kid on the toilet! Oops! When I went to his rescue, there he sat, pajamas dangling from his feet, on the pot, watching the leaves blow on the tree outside the window. I’m so glad he had something to entertain him or it could’ve been bad! He’s the kid I don’t trust to wipe his bum. I’m just not interested in cleaning up any more messes than need be. So for now I continue to put my bum wiping skills to good use and hope for the day I can retire. Usually we just use the good ol’ toilet paper method. But sometimes… sometimes we need some extra. In the past we’ve grabbed a baby wipe and taken care of business. Until now! We recently decided to give the wet+dry system a try and headed to CVS to pick up Cottonelle® Flushable Cleansing Cloths and Clean Care toilet paper. I have to admit, it’s a pretty great method! Being the fun mom that I am, I explained the new system to the boys by making up a chant, “The wet wipes up the mess, the dry cleans up the rest!” Yes… I know, poop is gross, but kids think it’s funny to talk about so why not have some fun with it too?! Plus, it helped them remember which comes first and which finishes. After an explosion of giggles (see, I told ya! ), the new process stuck and they couldn’t wait to give it a try! My lovely child who comes to wake me for bathroom time still comes to let me know that he is headed that direction. Now, however, he is wiping his own bum! Yup! I figured he can’t get any cleaner than using the wet+dry system! And now he has graduated to big boy bathroom status which gives him a boost in confidence. 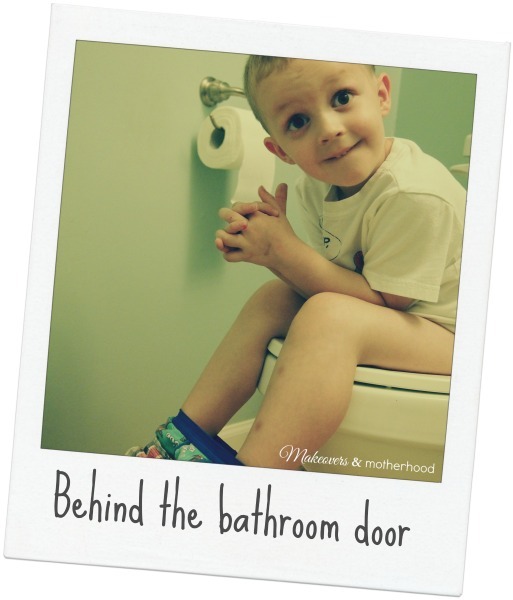 Can you say “potty training must-have?! And when it’s my turn in the bathroom, both my lady parts and bum come out feeling clean and refreshed! Why should babies get all the good stuff? Adults have bums too, you know! Plus, when I take those few extra moments for my bathroom routine, it not only refreshes me personally, but is a mini refresher for the day too. Wiping crusted boogies off baby’s face since the wet cloth makes wiping not so abrasive. Washing dirty little boys who may have forgotten to use soap at the sink. Cleaning up pee spots around (or on) the toilet. What can I say… boys have bad aim! You never know what you might find when you peek behind someone’s bathroom door! Now that you’ve had a glimpse of our bathroom rountines… I hope you get your bum over to CVS with the $1.50 off coupon and try the Cottonelle wet+dry system for yourself! Your bum will thank you! Many thanks to Cottonelle for sponsoring today’s post, and keeping my bum clean! flushable wipes make it sooo much easier don't they! He is too cute!